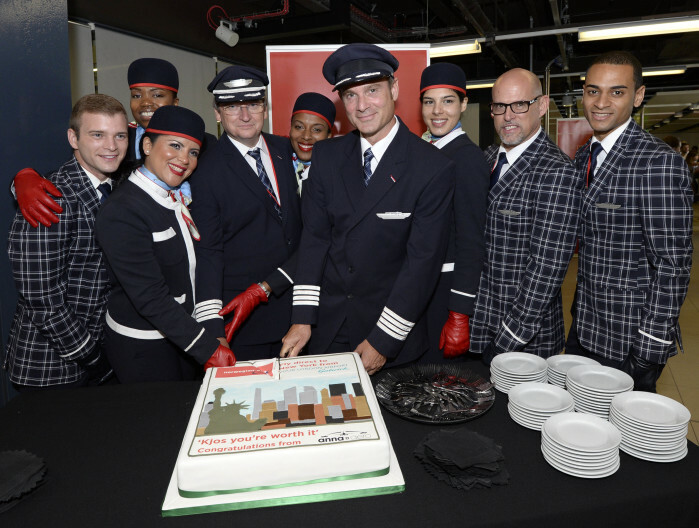 Norwegian celebrates its first ever flights between the U.S. and London Gatwick. the first flight between Los Angeles and London Gatwick, Norwegian’s first flight between New York’s Kennedy Airport and London and its inaugural flight from Fort Lauderdale to London. All the flights are almost full. Norwegian Air, which has expanded service between the US and Europe, has received seven nominations in the highly acclaimed Passenger Choice Awards 2014. Norwegian is represented in more than half of the categories, including “Best in Region: Europe” and “Best Overall Passenger Experience”. The Passenger Choice Awards has become one of the industry’s most significant award programs for the airline industry. Norwegian has previously won the Passenger Choice Awards in the categories “Best in Region: Europe” and “Best Inflight Connectivity and Communications”. This year, Norwegian has been nominated for the same categories, in addition to “Best Overall Passenger Experience”, “Best Inflight Publication”, “Best Inflight Video”, “Best Ground Experience” and “Best Single Achievement in Passenger Experience” for Norwegian’s interactive ‘Geotainment’ moving map. Norwegian operates two weekly flights between London (LGW) and Los Angeles (LAX) – on Wednesdays and Sundays. The introductory fare is £199 one way. Norwegian operates three weekly flights between London (LGW) and New York (JFK) – on Tuesdays, Thursdays and Saturdays. The introductory fare is £149 one way. Norwegian operates two weekly flights between London (LGW) and Fort Lauderdale (FLL) – on Mondays and Fridays. The introductory fare is £179 one way. Norwegian commenced its long-haul operation by becoming the only low-cost carrier to offer flights between Europe and the US. Norwegian will have a fleet of 17 Dreamliners, whereof seven are currently in service and one more will be delivered in 2014. The company is planning to expand its long-haul fleet with even more 787 Dreamliners. The Passenger Choice Awards has become one of the industry’s most significant award programs for the airline industry. This is because winners are chosen based on customer feedback. The Passenger Choice Awards comprise 13 individual categories and were created to give the flying public a voice in the passenger experience. The survey is open each May and June at http://www.passengerchoiceawards.com, and passengers are encouraged to vote every time they fly. The winners will be announced at the Airline Passenger Experience Association (APEX) Awards Ceremony on September 15, 2014, in Anaheim, California, USA. Norwegian was recently awarded the title “Europe’s best low-cost carrier” for the second year running by the renowned SkyTrax World Airline Awards, where the passengers themselves decide the winners. Norwegian also came third in the vote for “World’s best low-cost carrier”, only beaten by AirAsia and AirAsia X. Founded in 1993 Norwegian Air Shuttle ASA, which is headquartered in Fornebu, Norway, is a low-cost airline listed on the Oslo Stock Exchange. Norwegian is the second largest airline in Scandinavia and third largest low cost carrier in Europe. More than 20 million passengers fly on its network per year. Norwegian has a route portfolio that stretches across Europe into North Africa and the Middle East, as well as long-haul flights to the US and Southeast Asia. The company has a total of 417 routes to 126 destinations and employs approximately 4,500 people in Norway, Sweden, Denmark, Finland, Estonia, UK, Spain and Thailand. The airline has 258 undelivered aircraft on firm order. In 2013, Norwegian was voted Europe’s best low-cost carrier of the year by the renowned SkyTrax World Airline Awards. Norwegian boasts of offering better leg room than most competitors, in-flight WiFi, world-class punctuality and a fleet of 96 aircraft with an average age of only 4.8 years. For more information, visit norwegian.com.